With big hair bows back in style, there are many different types to be found. There are a lot more styles than just a demure bow on a clip. Popular styles include huge bows that are 15cm to 20cm wide and need to be connected to a headband to stay on the head. They are fun and wildly popular with young women and girls. There is more than just the simple bow when it comes to hair bows. Hair accessories for children and young women offer a lot of options. 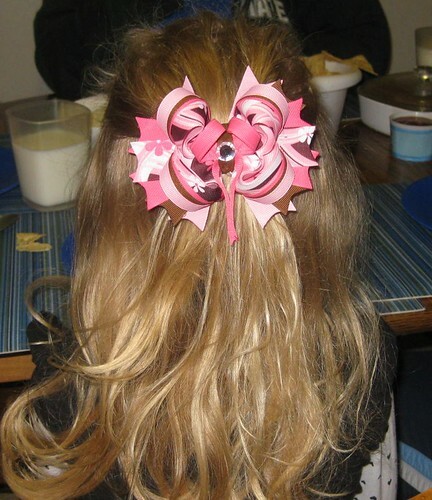 There are simple bows that you can clip into your hair using hair pins, bows that are attached to a barrette, bows that are connected to hairbands, and pretty scarves make a lovely bow with long trailers. There are some made of plastic that look like bows, bows made of leather, silk, organza, ribbon, velvet and other fabrics. There are single and double bows with ornamentation and cartoon characters, and the latest rage is bows that look like hair. You can find bows almost anywhere clothing is sold. Clothing stores normally carry accessories to go along with the clothes they sell. A few stores to check are Charlotte Russe, Claire’s and Forever 21. Looking on the Internet can also provide many choices. Try cottoncandysugarrush.com for the Lady Gaga hair bows. Other sites are Gobbolino.co.uk, candybows.co.uk, bowlicious.co.uk, shopstyle.co.uk, thefashionpolice.net and uk.etsy.com where everything is hand made. Prices for hair bows are generally inexpensive, but it all depends on where you buy them. The trendier shops charge more for the newest thing on the market, such as the Lady Gaga hair bow, which can sell for as much as £48 for an extra large bow. Typically, however, bow prices range from £3 to £5. Big hair bows are usually around 15cm to 18cm, but there are many that are larger for those who want something to really show off.